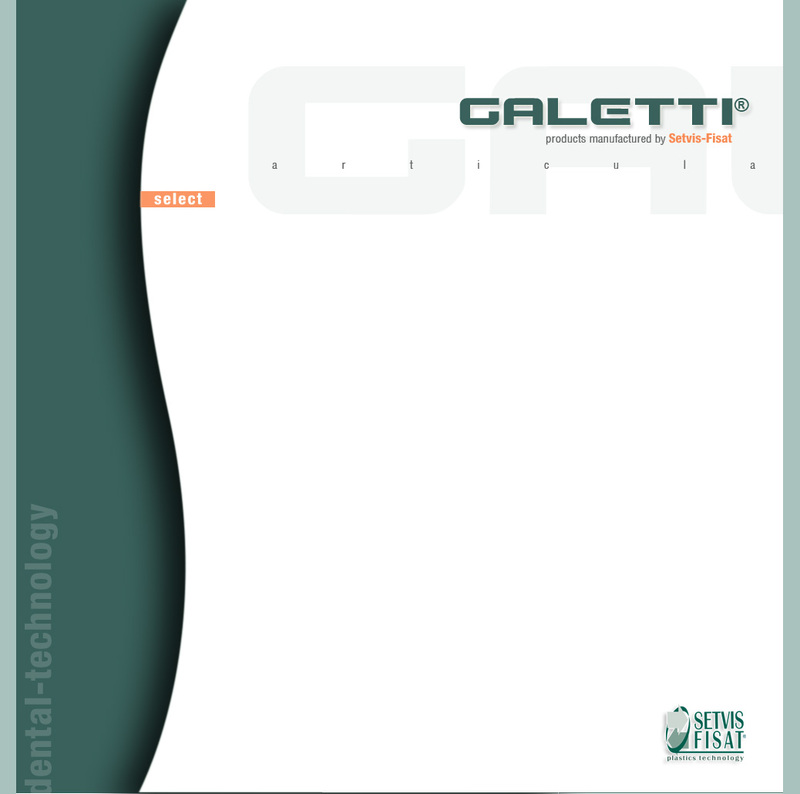 Manufactured by our Society since the late Seventies on behalf of its inventor, Dr. Galetti, a renowned dental technician, the Galetti® Articulator represents a well known, appreciated dentistry device. Its function is to reproduce the maxillo-mandibular joint, in order to allow the dental technician to build fixed and mobile dental prostheses. The Galetti® Articulator is completely manufactured inside our company using the equipment of our finishing department, besides specific moulds; more precisely, milling machines and numerical control lathes, assembling benches with special processing structures and, eventually, vibrating ball bearing machines are used in order to obtain shiny surfaces. All the equipment is state-of-the-art, which guarantees a high building precision with strict tolerances -features that have determined the success of this product. During the assembling phase, each articulator is manually mounted and calibrated, subsequently passing a thorough and accurate testing phase. Exported throughout the entire world, especially owing to the importanrt distributors in this market, the Galetti® Articulator is made of 46 pieces of brass, stainless steel, aluminium and copper alloy, mainly obtained from drawn and calibrated bars.